Anytime a claim is made by anti-gun activists people need to check the numbers very, very closely. After all, we’ve seen them try to frame remarkably low numbers as some kind of epidemic. Last week, a report came out that claimed people with concealed carry permits committed 1,259 murders since 2007. And worse, it supposedly says something very damning about citizen carry. 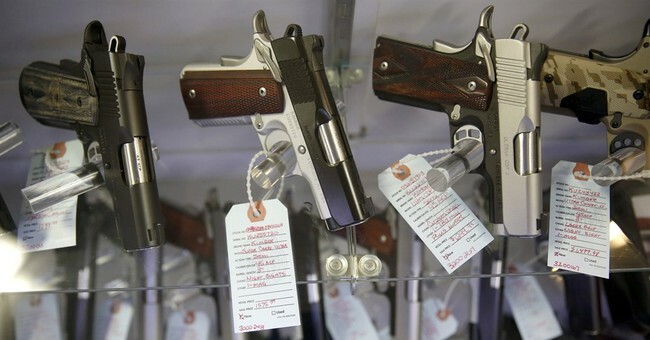 The center’s Kristen Rand said, “The evidence is clear that allowing random people to carry guns in public endangers public safety.” With no comprehensive recordkeeping of deaths involving concealed handgun permit holders, and many states prohibiting the release of such information, the examples provided by the center are taken primarily from news reports along with the limited information collected by a few states. They likely represent a small fraction of actual cases, the center says. Its database does not include the small number of incidents that are eventually determined to involve self-defense or where no verdict is reached at trial. In the vast majority of the 1,049 incidents documented, the concealed carry permit holder either committed suicide (532), has already been convicted (335), perpetrated a murder-suicide (59), or was killed in the incident (19). Of the 69 cases still pending, the vast majority (57) of concealed carry killers have been charged with criminal homicide, five were deemed incompetent to stand trial, and seven incidents are still under investigation. First, 69 cases are still pending, which means they’re innocent until proven guilty. Those need to be removed. That leaves 1,190 murders since 2007. That’s almost 11 years worth of crimes being counted. To frame what this means, let’s break this down by how many per year. I’m going to be generous and assume they didn’t count 2018 in their numbers. That means there have been 119 murders known to be committed by people with concealed carry permits each year. This is out of around 13,000 firearm-related homicides. Seems like a drop in the bucket, especially when you compare it to a busy day in Chicago. If you break it down by state, you’re looking at 2.38 murders per state committed by people with carry permits each year. That’s it. Less than two and a half. No matter how you slice it, the number being reported just isn’t all that high when you understand how the Violence Policy Center is framing this. As the VPC tends to do, they take the largest number humanly possible, something that they can defend as an accurate number, then tout it as being some kind of massive epidemic. We can see the numbers aren’t that high when you look at them annually. Now, let’s take a look at the number of concealed carry permits out there. That’s a little difficult since the numbers are always shifting, but Fox News reported that last year, there were 14.5 million people with concealed carry permits. That means only 0.00082069 percent of concealed carriers committed murders, using that particular number of people with permits. I’m not an expert, but that looks like statistical noise more than a trend or proof that concealed carry isn’t safe. Especially when you compare those annual numbers to the 2.5 million times people with a gun defend their lives every year. Now, don’t get me wrong, any murder is a horrible tragedy. I wish we lived in a world where they didn’t happen. However, it looks like private citizens with guns–many of them with concealed carry permits–defend their lives far more often than they take innocent life. Of course, the VPC tries to hedge their bets, saying these incidents they cite “likely represent a small fraction of actual cases.” In other words, they can make the problem seem as big as they want it to be, even if their numbers don’t back it up. To them, I say that if you don’t know actual numbers, it’s best just to shut up unless you can find them because when you do this, I’m going to take you to school and point out just how idiotic your claims are. Especially when you’re counting cases that haven’t gone to trial yet.